For this week’s Philly Fridays, we couldn’t be more excited to find out which eateries around Philadelphia entice Tenaya Darlington, aka Madame Fromage. 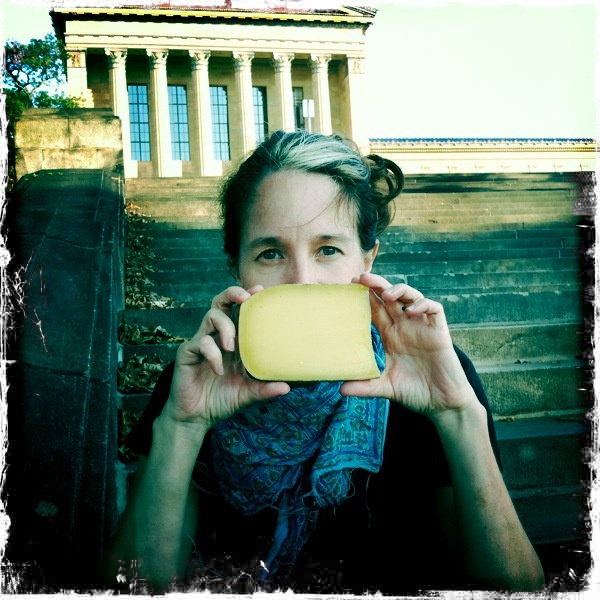 Of course, there will be some cheesy answers as Tenaya is the preeminent cheese writer in Philadelphia, and easily one of the best in the nation. If you even have a passing interest in cheese, don’t miss out on her book, available here. I moved to Philadelphia from Madison, Wisconsin back in 2005, and my eyes popped when I wandered into Di Bruno Bros. on 9th Street and saw the cheese selection. It became my personal mission to try every cheese in the case. I began recording my tasting notes under the pen name Madame Fromage (www.madamefromageblog.com) and never expected anyone to notice. The fact that the blog generated a book, The Di Bruno Bros. House of Cheese, taught me that developing a food passion and working in collaboration with others breeds good things. This year, I launched a blog with my brother, Andre, called Sprig + Spirit (www.sprigandspirit.com), to support our forthcoming book, Cocktail Hour — out next spring. A couple of ice cream sandwiches from Weckerly’s or a hunk of Birchrun Blue from Sue Miller at Headhouse Market. Di Bruno Bros. on 9th Street is my Cheers. I like the emphasis on local, sustainably raised meat at Kensington Quarters, and I think their mission represents the new Philadelphia restaurant scene. It’s a place where diners can come in and enjoy a spectacular roast from a local farm, then return a week later to take a butchering class. The new model is educational and experiential, and the emphasis is always on quality. Well, I throw a biannual Cheese Ball…and I hafta say that grazing on cheese all night is pretty much my jam. You can find Tenaya on Twitter at @madamefromage. This entry was posted on June 19, 2015 by Ryan in Philly Fridays and tagged cheese, dibruno, house of cheese, madame fromage, philly fridays, tenaya darlington.